Plenty of time has passed since my last post; sadly very little of this has been free time for me. 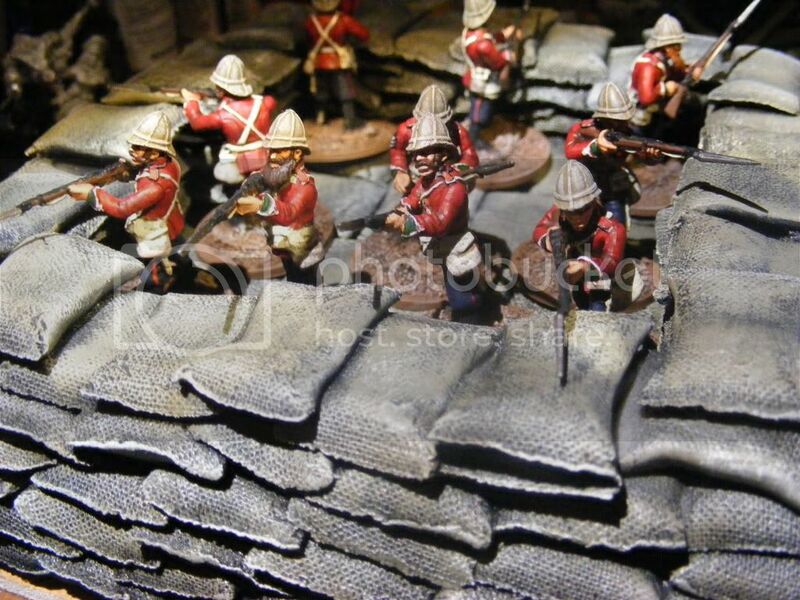 However, I have finally got the first 16 unmarried Zulus almost to painting completion. I am waiting for the bases that I forgot to order to arrive which allow me to finish them properly. However it would seem that the presence of the Zulu's or indeed their cattle has persuaded the British to form a square on their final redoubt! (I have to add that the camera has been very kind on me and that the British Infantry look a sight better than they do in real life. Who knows, maybe I've finally worked out how to use my camera after only 5-7 years!